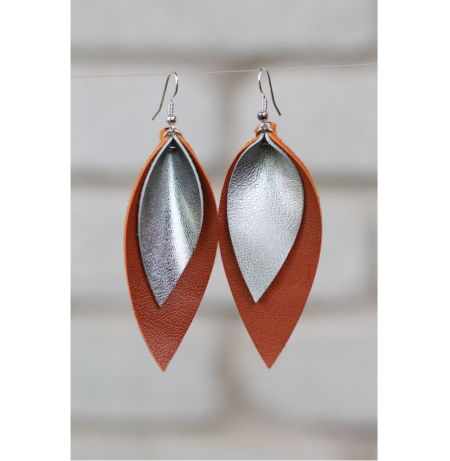 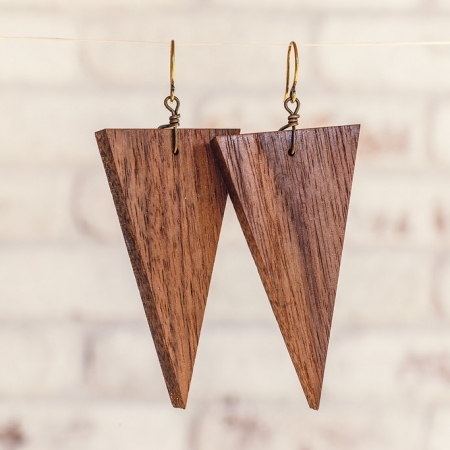 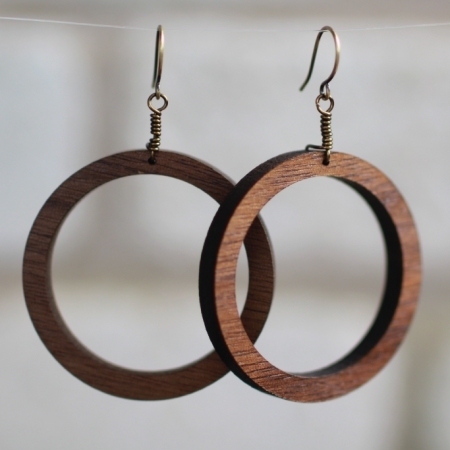 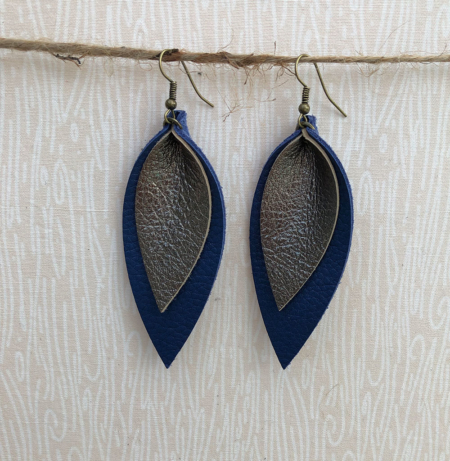 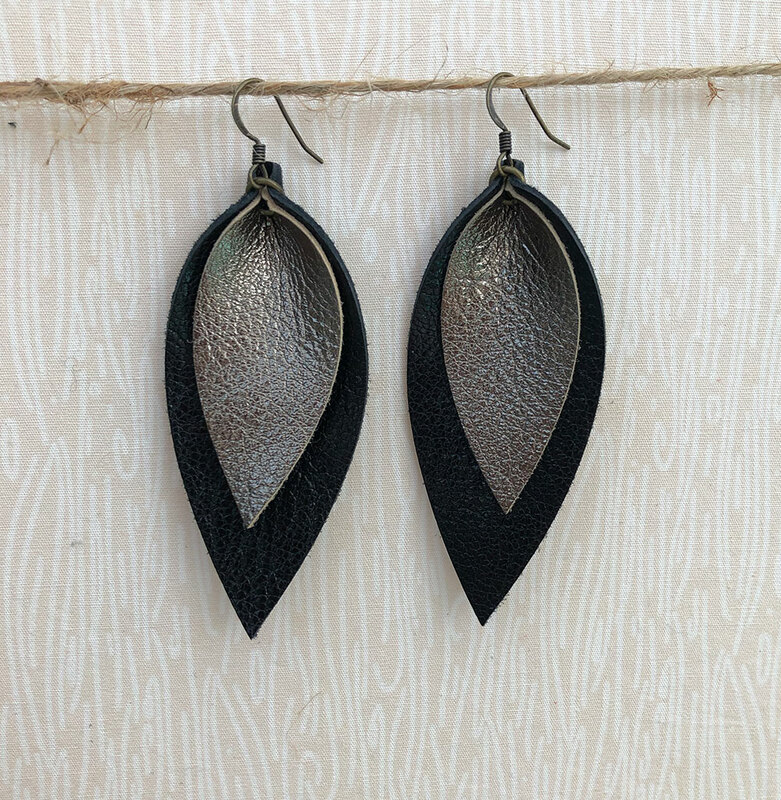 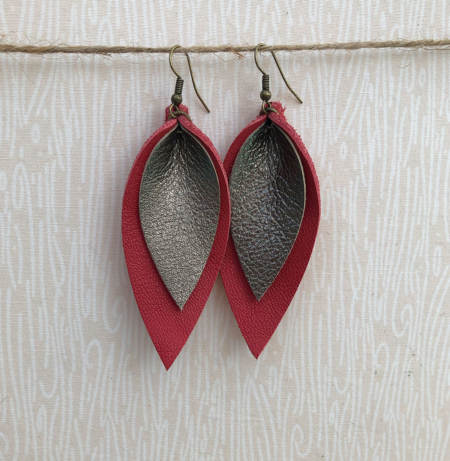 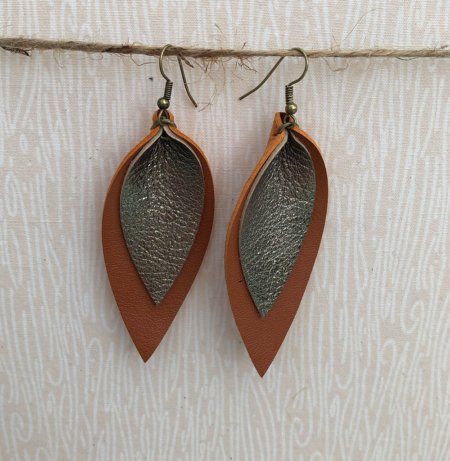 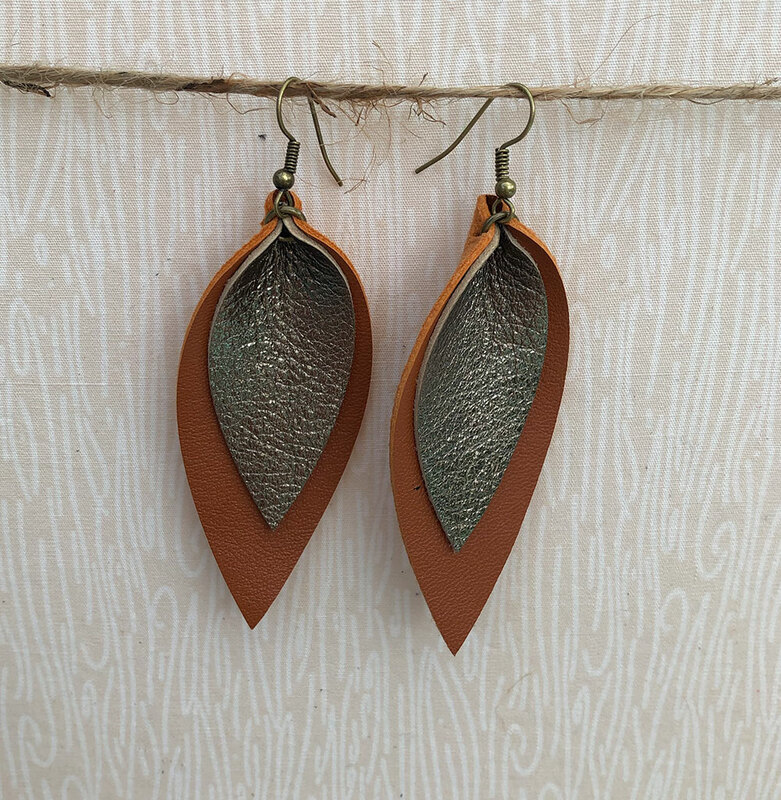 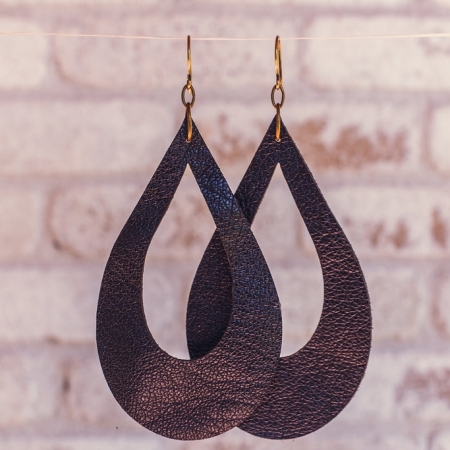 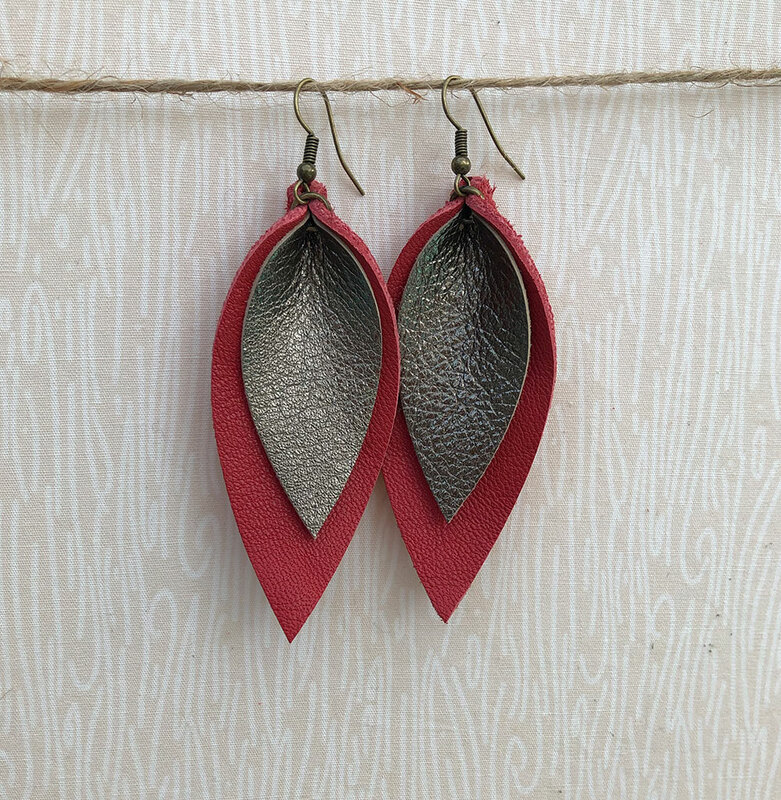 These layered leaf earrings are incredibly light-weight and fun to wear. 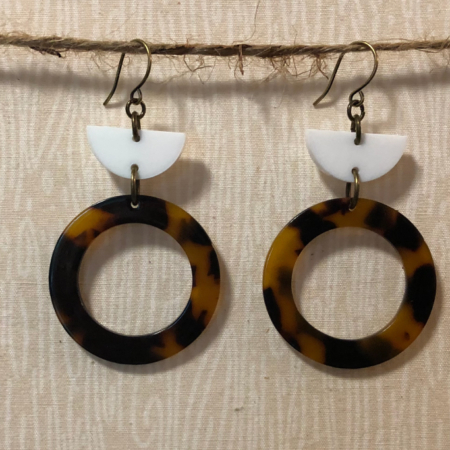 Earrings are approx. 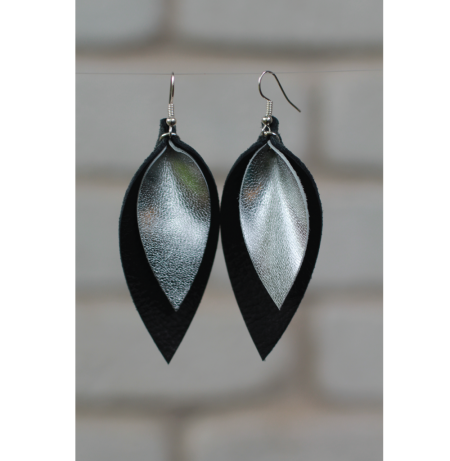 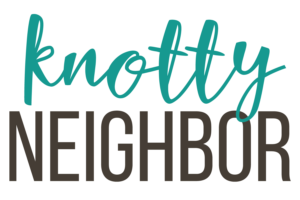 2.75″ tall and 1.25″ wide.